When it comes to manually brewing coffee, very few brewers can match up to the effectiveness of both the Aeropress and the French Press. Using easy to use components and basic brewing methods, the two gadgets have grown in popularity among coffee lovers. The French press has stood the test of time having been patented in 1929 by Attilo Calimani. The Aeropress, on the other hand, is a recent creation by Alan Adler in 2005, but has risen in popularity and is highly regarded as the French press. Here is a head to head comparison of the two popular coffee brewers. 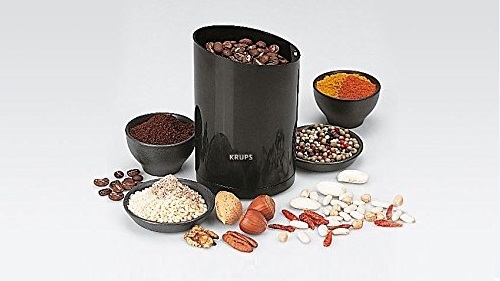 Both brewers feature very simple designs with few assembled components. The Aeropress is made up of two concentric polypropylene cylinders, namely, the brewing chamber and the plunger. The brewing chamber has two openings; the top opening is where coffee grounds are fed to the chamber. It is also the place where the plunger is inserted. The bottom opening is where the filter paper is kept and is closed with a filter cap. This is the place where coffee is expelled during the brewing process. The French press consists of two parts, a carafe, and a plunger. Unlike the Aeropress, which uses disposable paper filters, the French press has a permanent metallic filter placed at the end of the plunger. The carafe has one opening at the top that serves both as a feeding place of the grounds and an insertion point for the plunger. Both designs are very durable with most parts designed to last a lifetime. The glass carafe in the French press is the only fragile component that requires regular replacement. There are two unique ways of brewing coffee with this device. The first one is the intended method and is referred to as the ‘original’ method. Before the brewing process, a paper filter is kept at the bottom of the brewing chamber, and the filter cap tightly screwed at the bottom. The Aeropress is then placed on top of a cup. Coffee grounds are then fed into the chamber, followed by water. The plunger is inserted and pressed downwards expelling the brewed coffee to the cup below. The second method is referred to as the ‘inverted’ method and is believed to have been “discovered” by the coffee community. With the plunger already in the chamber, the device is placed upside down with the bottom open. Coffee grounds and water are fed through the bottom opening, and the opening is then fitted tightly with the filter cap. The Aeropress is flipped onto a cup, and the plunger pressed. A French press brewing process is quite simple. Coffee grounds are fed into the carafe, followed by hot water. The mixture is left for a few minutes to steep. Then, the plunger is used to filter the brewed coffee out. The metallic mesh filter at the tip of the plunger pushes grounds at the bottom, as brewed coffee filters above. The brewed coffee is now ready and can be poured into a cup. If you are a newbie, then you will need a little practice with the French press to get the hang of it. However, once you get used to it, the French press becomes very simple to use. Cleaning is also straight forward with just a simple wash of the chamber, the plunger, and the lid. The Aeropress is also simple to use, though it has more steps during the brewing process. Also, the cleaning process is not tiring, as the grounds and used filter can be easily expelled by removing the filter cap. Then, a good rinse is what is required. Verdict: When it comes to simplicity and ease of use, the French press is the clear winner. It should be noted however that the Aeropress is also very simple to use, although it has extra steps that make it a bit demanding in comparison to the French press. The difference in the coffee quality is attributed to the type of filter used. The Aeropress uses paper filters, which produce smooth, brighter and lighter beverages. The paper filters have micropores that prevent oils and other coffee flavors from penetrating through. As a result, Aeropress beverages are clean and do not leave deposits on the cup. The Aeropress is very adaptable and can be used to produce various recipes. The secret is the size of the grounds. For instance, micro grounds can produce an espresso-like beverage, if the pressure is right; while coarse granules can produce a beverage similar to a French press. The French press is quite rigid and only uses coarse grounds to produce one type of beverage. 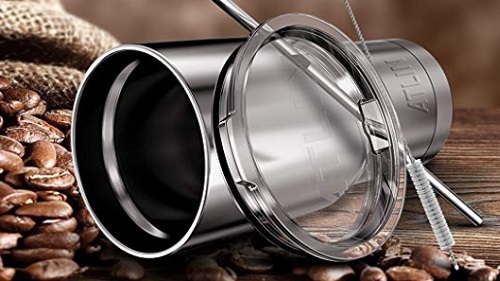 The mesh filter allows all the natural oils, flavors and coffee grounds to penetrate through the final product. 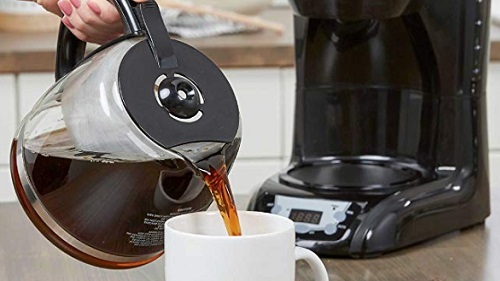 The French press, therefore, produces a full body coffee beverage that is rich in flavor and well balanced regarding thickness and texture with a darker hue. The beverage is usually oily and will stain cups. The only problem is over-steeping, which could result in bitter coffee. The French press can also be used to produce a cold beverage. Verdict: Both devices produce great beverages, and the issue of quality should not be of concern. However, the French press produces superior quality of coffee, and it is due to this reason that it is still very popular. A French press beverage has all the oils, nutrients and flavors of the coffee. Also, it is very hard to make bad coffee with the French press, due to its simple brewing procedure. On the other hand, the Aeropress is very versatile and can be used to make various beverages. This device gives you full control of the brewing process. You can alter the time, pressure, temperature, quantity of ground coffee and water-coffee ratio to produce whichever beverage suits you. The Aeropress is without a doubt a superior coffee maker, but the French press produces a better beverage. On average, the French press takes about five minutes to brew coffee. This is because the coffee grounds have to be steeped in hot water for three to four minutes. This releases all the aromas, flavors, nutrients and oils to create the perfect French press beverage. The Aeropress takes less time than the French press. A whole brewing process lasts one to two minutes. There is no steeping involved; just pressure is used to push the coffee through the filter. Despite the French press having a longer brewing time, it has a larger capacity than the Aeropress. French press devices come in different capacities ranging from 8oz to 35oz, while all Aeropress devices come in only one 8oz size. Therefore, a 32oz French press can produce about four mugs of coffee, which is three mugs more than the Aeropress, which produces a single mug at a time. Verdict: When it comes to brewing time, the Aeropress is the obvious winner. However, its only constraint is that it cannot cater to several people at once. In this case, the French press wins due to its ability to produce several cups of high-quality coffee at once. Each brewer excels in its unique way. The Aeropress is more versatile and is much faster, while the French press produces a superior beverage and has a larger capacity that can cater to several people at once. It is therefore hard to single out the superior brewer. For the moment, we will leave it to you to be the judge.